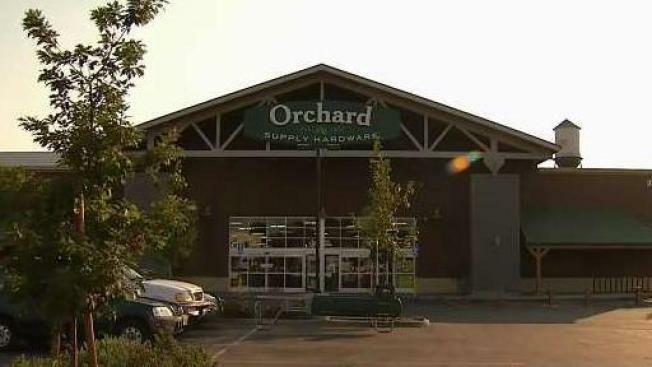 Orchard Supply Hardware stores across the Bay Area and beyond closed their doors early Tuesday and will shut down permanently by the end of the year, according to a company spokeswoman. On Wednesday, customers and workers in San Jose lamented that the closure of more than 40 stores in the Bay Area feels like a nail in the coffin for personalized service. "I'd be surprised if people at other chain stores are as knowledgeable as they are here," Jon Del Conte said. Others were concerned about the impact the closures would have on the senior workforce. "If you notice, many of the people who work here are retired, and they really care," Jeffrey Macredes said. Jackie Hartzell, a spokeswoman for parent company Lowe's, said employees were informed of the permanent shutdown Tuesday, and store liquidations will begin Thursday. Rumors began circulating Tuesday about a possible permanent shutdown of the chain's 99 stores across California, Oregon and Florida. "Shocked," longtime customer Olivia Moreno said. "I grew up going to Orchard Supply for everything. My parents owned a home. Anything they needed for a house." Hartzell said she couldn't comment about employees' severances, but several workers told NBC Bay Area they would be able to stay on until the stores close. At that time, they'll have first priority to be hired at Lowe's stores, they said. Gilbert Sierraz, an assistant store manager in San Jose said he was shocked. "I've been with the company 28 years, and I’m kind of surprised," he said. "I wish they had made a different decision." Christine Nicholson was an assistant manager at the Mountain View store until she left last week. "There were a few structure changes recently, and it was very shocking because there were all these great things coming down," she said. OSH was founded in San Jose in 1931 and bought by Lowe's in 2013. It has more than 40 stores in the greater Bay Area and about 4,000 employees across the company. Its headquarters are in South San Jose. After Lowe's bought the chain in 2013, the company began renovating its vintage stores to a more modern format, according to the company website. As recently as Tuesday, stores had banner signs posted that read: "Hiring Happy People." Lowe's Companies Inc. filed its quarterly earnings report Wednesday. Its stock was up nearly 6 percent to $105.52 at closing Wednesday. ORCHARD SUPPLY CLOSING BEFORE IT EVER OPENS! This would have been a new #OrchardSupply at Fashion Square Mall, but @Lowes announced today all Orchard Supply stores will close by the end of the year. Sad day for #OrchardSupply I worked there in High School, my Pops worked there after he retired.